There is a tear top right hand corner which stops at the plate mark. The mount is foxed and stained but the image is pretty good as can be seen. "To May (Mary?) 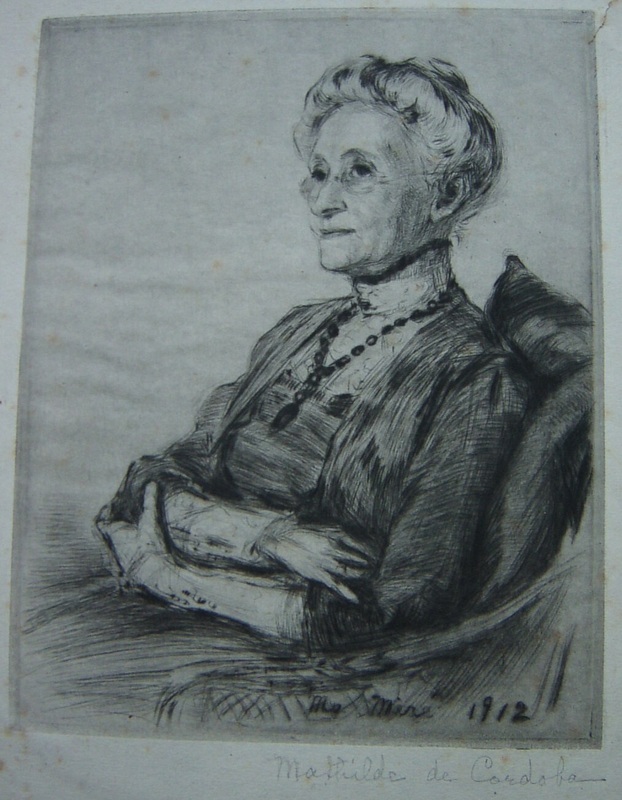 in Memory of Mother 1912"
b 1871 d 1942, she was the eldest child of Pedro de Cordoba and Mathilde J de Cordoba. She had a brother (the actor you mentioned in the description) named Pedro de Cordoba and a younger sister named Mercedes de Cordoba. Mercedes married Arthur B. Carles. They then had a daughter also named Mercedes de Cordoba. Mercedes, with financial assistance from her unmarried aunt (the previously mentioned) Mathilde, went on to be the ground breaking abstract artist Mercedes Matter.